Suite Grazia is a fantastic penthouse with a panoramic view from its beautiful terrace. The suite is situated in an old historic building recently renovated and offers all that a guest dreams of and is at an idealistic location desired by all. 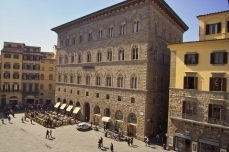 The suite at just 40 feet from the Dome of Santa Maria del Fiore is very conveniently located on the main square of the Florence's center. A very special care has been taken in maintaining the exotic beauty of the suite. The ornamented Tuscan style furniture is an added beauty of the suite. 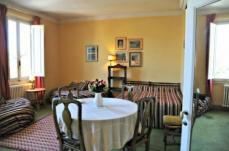 The panoramic rooms enjoy breathtaking views over the Duomo and City. There are two rooms, two bathrooms with shower, a living area with a fully equipped corner kitchen, wi fi free, and a sofa area, it's a perfect location for family or group of friends. 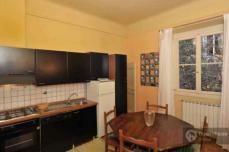 If you like to have an experience and to live in the hearth of the ancient Florence this is the perferct location! The Penthouse suite is ideal for families, groups of friends, or for a special occasion such as a wedding or anniversary. The Grazia Suite`s private terraces have an unbeatable view, of the Duomo and the city.... an unbeatable experience!